Making a trek into Wisconsin this past spring and then playing at a high level in the event, gave the area a chance to see Team Harden play against some top competition in the Midwest. A player that really capitalized from the momentum he gained from having a strong tournament and then playing really well throughout the summer, is 2020 G Xavier DuSell of Lighthouse Christian Academy (home-school) / Arizona Compass Prep (AZ). DuSell is a 6’4” 175-pound combo guard who looks the part and plays the game with a lot of passion and respect. DuSell has earned himself a few Division I scholarship offers and gained a lot of interest from some other mid-major and high-major programs. His size at the guard position and the skills in his repertoire are making him into an enticing prospect for schools to recruit, and DuSell is looking to continue with the momentum he has gained with his strong play over the past year. “The main goal that I have is to get better as a player and have less and less weaknesses or weak points to my game…” DuSell commented about something he hopes to accomplish this coming season as a player individually. He also talked about his strengths as a player currently, saying it’s “being able to score at a high level along with making plays for my teammates.” The 6’4” emerging guard can hit shots from anywhere in the offense, producing from beyond the arc, able to hit the mid-range jump shot off the pull up, or with his size he can go down around the blocks and score over smaller guards a bit or off the drive with his strong handles. He added “I also have a strong defensive presence along with getting rebounds.” Again, utilizing his size and athleticism has become an advantage for DuSell. He does however, want to add some more aspects to his game to really round himself out even more. “The aspect of my game that I need to work on is my on-ball defense and being able to contain faster and quicker guards,” DuSell explained, wanting to be able to focus in and lock-down even better when challenged with shutting an opponent down. The mix of talents and the way that DuSell plays has caught the attention of several college programs and coaches, as he went into the summer with an offer from Montana and has since added Northern Arizona and Idaho State. On top of that he has good interest from a slew of schools like Colorado, Arizona State, Stanford, San Diego State, Portland, California, Cal-Fullerton and more. With those offers, DuSell has since taken an official visit to Montana and has plans to take an unofficial visit to Northern Arizona soon. It appears big things are on the horizon for the standout combo guard as he gets prepared for a season with a new squad at Arizona Compass Prep. 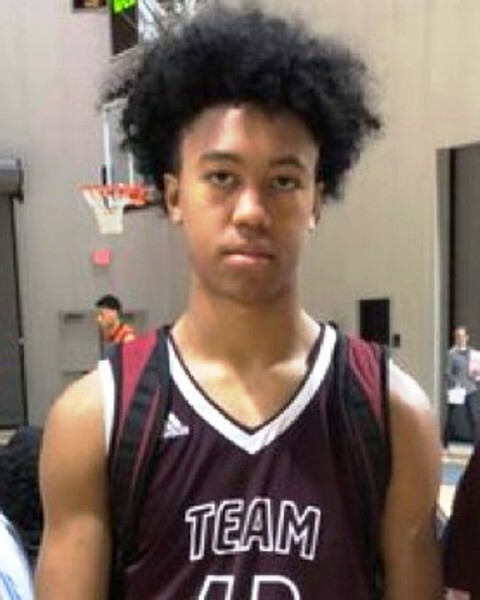 With his mom and dad behind him every step of the way, and goals of maybe one day playing in the big league, DuSell is primed and focused on making the best of each opportunity he has to show why he is one of the elite emerging guard prospects in the 2020 class.